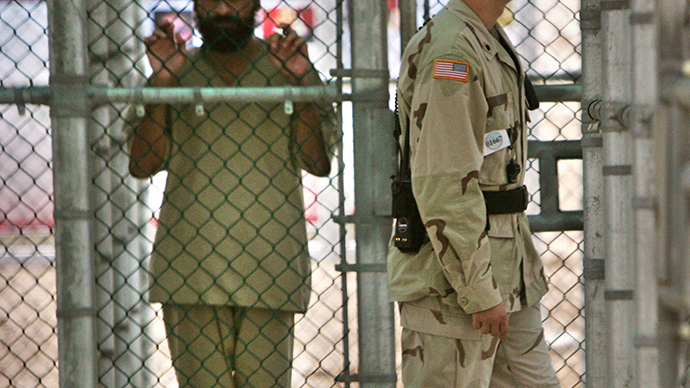 At least seven people have managed to kill themselves since Guantanamo was first set up in 2002. The fact that Gitmo has turned into a pit of hopelessness is confirmed both by the detainee's lawyers and some US officials. While the number of officially-acknowledged hunger strikers is growing, most prisoners are isolated from each other and the world. "How can the military, even the military, hope to maintain discipline over a prison camp where there is absolutely no hope for those men confined here?" Lieutenant Commander Kevin Bogucki, a US Navy Military Lawyer who was visiting his clients at the base this week, told AP. "Until such time as our government starts to do the right thing in connection with Guantanamo Bay, the frustration is only going to continue to build and I can't imagine that the outcome will be good," he added. Out of 86 Guantanamo prisoners cleared for the release, the overwhelming majority - 56 of them - are Yemeni nationals, RT's Gayane Chichakyan points out. However, three years ago the US suspended all transfers of detainees to Yemen. 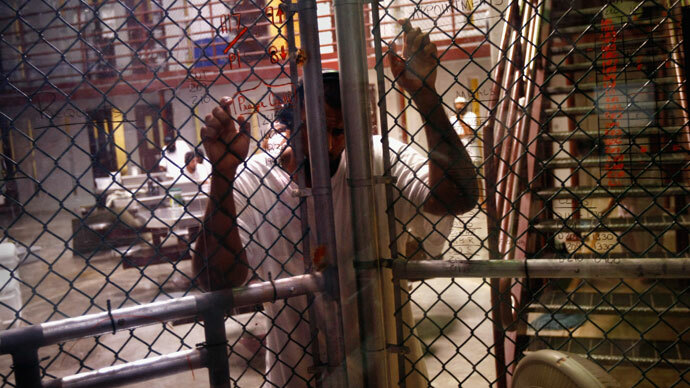 It may well mean dying in Guantanamo, Omar Farah, petitioner for the Center of Constitutional Rights, believes. 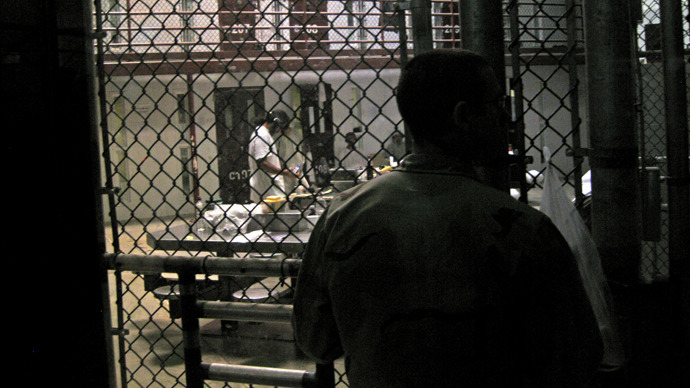 "Our clients are coming to grips with the cold fact: they may well die in Guantanamo not because the state is unable to transfer them, but because it's unwilling to do so. 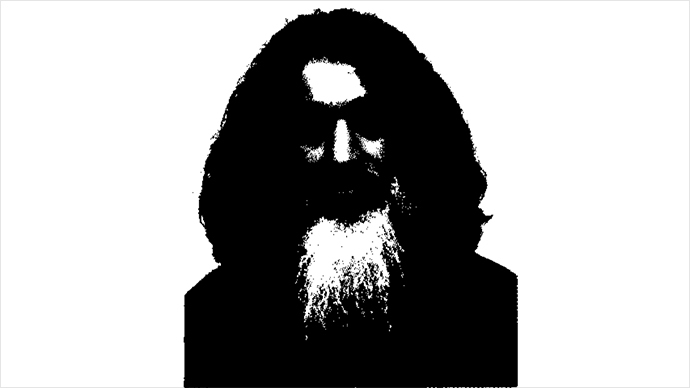 The transfer restrictions are difficult, for example, they would require the secretary of defense to personally certify that a receiving state are taking steps to ensure that a prisoner can never threaten the United States in the future, whatever threat it might mean in that context. 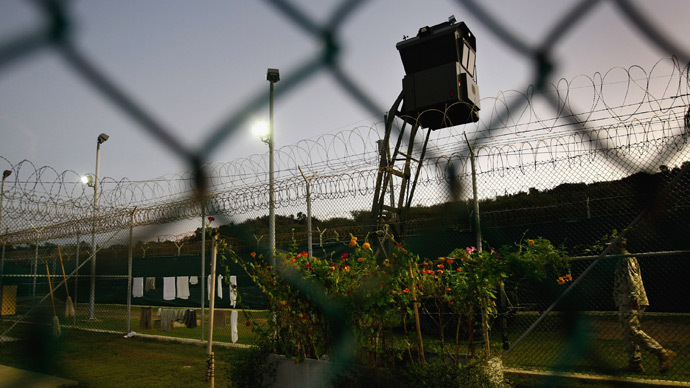 Obviously no state can guarantee that a future event will or will not occur, but that was the point - to discourage transfers from Guantanamo," Farah said. US officials say there is no reason to lose hope, as they are working to make transfers happen. However, this pledge lacks action. "The indefinite detention that they're asking for or are justifying is under the laws of war," Kristina Kuskey, petitioner for Physicians for Human Rights said. "In US minds that war ends at the end of hostilities. Against who? Al-Qaeda and associative forces. What does that mean? That's indefinite! That is the epitome of indefinite." US military has acknowledged 84 prisoners have currently joined the hunger strike, 16 of them are being force-fed, while five have been hospitalized. Dr Stephen Xenakis, a retired brigadier-general and army medical corps officer, told RT that he fears that some detainees may die in the next few weeks. The strike started early in February over guards' alleged interference with the inmates' private belongings, raising anger over 'mishandling' of Korans. No efforts on the part of the US military authorities to stop the strike have so far been successful. 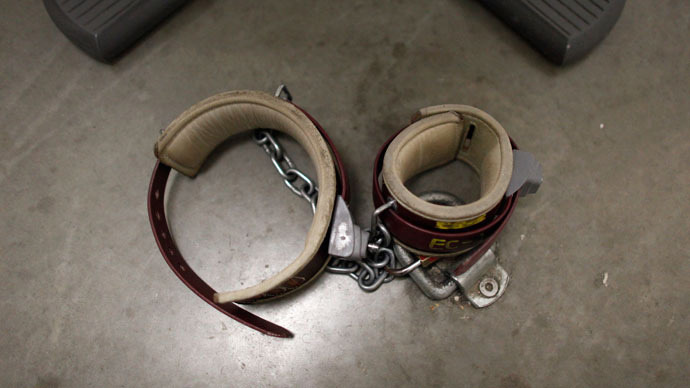 Multiple human rights and medical associations have condemned force-feeding, the UN Human Rights commission even labeling the practice of force feeding a form of torture. Xenakis added that the force-feeding may actually stand in the way of ending the hunger strike. The US military is sending additional medics to Guantanamo, just under 40 personnel will supplement the 100 already on duty at the camp and will arrive by the end of April, Lieutenant Colonel Samuel House, a spokesman for the detention center, told reporters on Monday.